Today's my last day at Human Rights Campaign! I'm going to miss it a lot - my job at school is much less fun, I don't get nearly as much access to crazy awesome website things and inside information on gay rights campaigning. 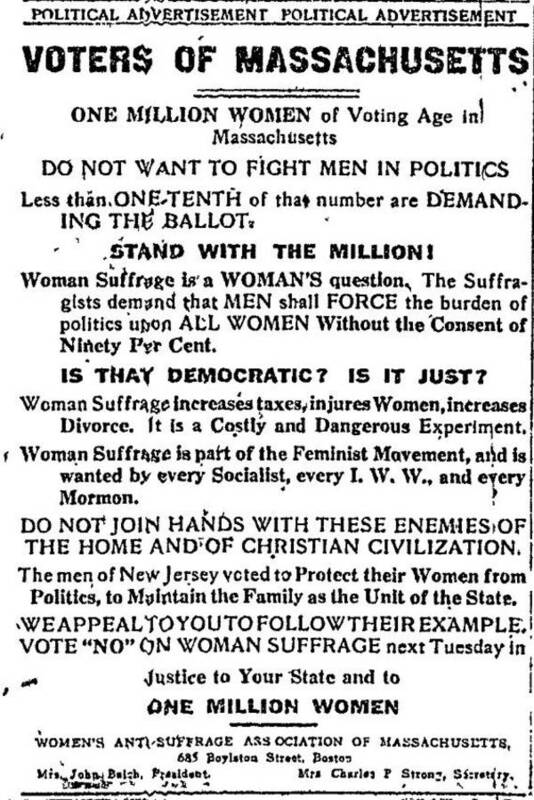 I particularly like the combination of feminists, socialists, and Mormons as a coalition of evil suffrage. I guess their argument is that if women wanted to vote, they would all get together and ask their husbands to please give them the right to vote now? Hey, they've got a point. And while we're at it, we should save the slaves from the onerous responsibility of being able to make their own decisions. Remember, slavery is freedom.